Eldorado Gold Lamaque is a mineral exploration and development company focused on expanding and developing the Lamaque project near Val-d’Or, Quebec. 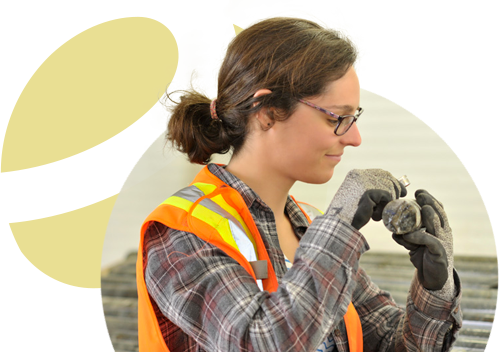 Eldorado Gold Lamaque is dedicated to responsible operations, the highest safety and environmental standards and enhancing the communities in the Abitibi-Témiscamingne region. We are a subsidiary of Eldorado Gold Corporation (TSX: ELD, NYSE: EGO), a mid-tier Canadian gold mining company based in Vancouver. We have a good team of dedicated professionals that is committed to advancing the Lamaque gold project, near Val-d'Or in Quebec. We put the safety of people and the environment first, value honesty, transparency and accountability in all of our business practices, and invest in our people. Come and build your career with us! We believe in being open and transparent. We strive to minimize our environmental footprint. Veuillez sélectionner votre langue préférée.